Dress to impress for Preakness at the Piazza. 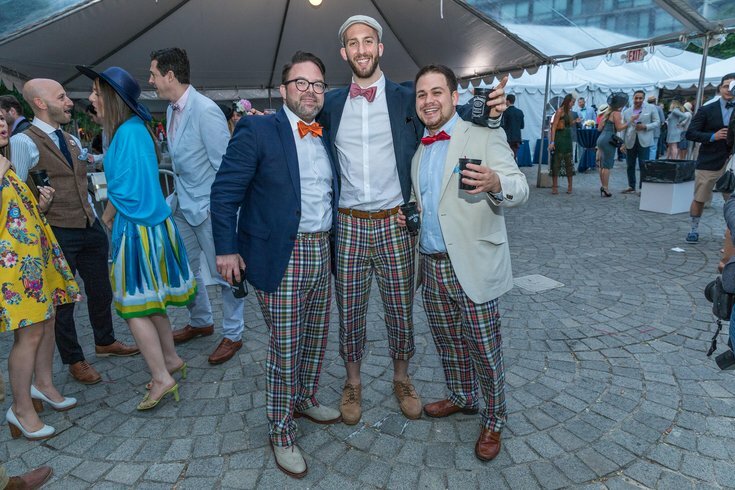 On the evening of the 143rd Preakness Stakes, there will be a huge party at The Schmidt's Commons in Northern Liberties. The sixth annual Preakness at the Piazza will take place Saturday, May 19, beginning at 5 p.m.
At 6:20 p.m., the second leg of the Triple Crown is scheduled to take place. It will be screened on a giant, 400-sq.-ft. LED screen, so all partygoers will be able to cheer on their favorite. Attendees will also enjoy an open bar, live music and a southern-style buffet. All guests are encouraged to wear their best Preakness attire – think fancy hats and extravagant bow ties – for a chance to win one of the "Best Dressed" contests. Fashion judges will award attendees who stand out in the following categories: "Best Couple," "Best Hat," "Best Shoes," "Best Dressed Male" and "Best Dressed Female." Tickets to the party are discounted through Monday, May 14. Currently, general admission is $75.65 and VIP is $140.25. The VIP option includes a private bar, VIP cocktails and other perks. All event proceeds go to the National Multiple Sclerosis Society. Preakness at the Piazza has helped contribute more than $600,000 to the organization.